Years ago, I read Joan Didion’s Blue Nights in a single sitting, from midnight to dawn. I was visiting New York, sleeping on my friend’s couch, and I had been telling her earlier about the man I was dating, the man who would later become my husband. Talking with her, I’d been giddy and giggly. Now she was asleep and I was alone with the street noise from below, and because I knew I was in love with the man I was dating, those two hundred pages of distilled, brutal writing about loss made an enormous impact on me. This is the experience reading a short book can give you. Didion’s book is nonfiction, but in the past few years, some of the most lauded novels have been tiny as well: Another Brooklyn, A Separation, Department of Speculation, Pond. As it turns out, all of these books are by—and about—women. Think, by contrast, of some of the novels by male authors that have made a big splash. The Nix, Purity, Here I Am. None of these books is less than six hundred pages. When it comes to literary fiction, a general pattern has emerged in recent years: novels by and about women that garner critical praise tend to be on the (very) brief side, whereas novels by men—regardless of who they’re about—are met with acclaim when they’ve got much more heft. It’s a familiar message, applied to the realm of literature. For women, it’s always better not to take up too much space. The final page count on my novel, Rebellion, is five hundred sixty, a feat of type-setting, as it could easily have been more. I always knew this would be a big book because it’s a big story, and the only thing that made me nervous writing it was the very real prospect that it would be difficult to find an agent and even harder to sell because of its length. I should add that the novel’s main characters are all women. As it turns out, I did find an agent, and a very good one at that. The day she called to say she loved my book and wanted to represent me, I cried with happiness and relief. I’d sent to many other agents, too, and when I received feedback, it was nearly always a variation on the book being too big, too sprawling, not focused enough. Fair criticism. I happen to think I’ve written quite a good novel, but not everyone will think so. And not everyone loves long novels, either, regardless of who’s written them. So I don’t mean to chalk up all those rejections to sexism. But when I look around, I do start to wonder. It’s difficult for me to think of a long novel by a woman that has gotten buzz in recent years, unless the book is partly—or mostly—about men (Donna Tartt’s The Goldfinch, Hanya Yanigihara’s A Little Life). I’d be overjoyed to be described that way by a critic who’s not quite sure that my novel is any good. But then again, “ambitious” isn’t a term that’s often applied to female writers, especially when they’re writing about women. Of course, it’s not only in books that we see smallness made female. I am thinking now of Tiny House Hunters, the HGTV show about people who seek dwelling spaces of almost comical smallness, where every last inch of real estate is put to use: a table that folds down from the wall, a bench that doubles as storage space. The voice-over for commercials advertising this show is a decidedly female one, high-pitched and cutesy, the kind that is used to advertise diapers and baby food. There’s nothing wrong with such a voice, but it’s surely not a coincidence that it’s used only for products that are associated with children or women. It is, in a word, diminutive. We can talk in glowing terms about what any single novel delivers, and at the same time say that when one type of book gets noticed again and again, it means that we’re ignoring others. 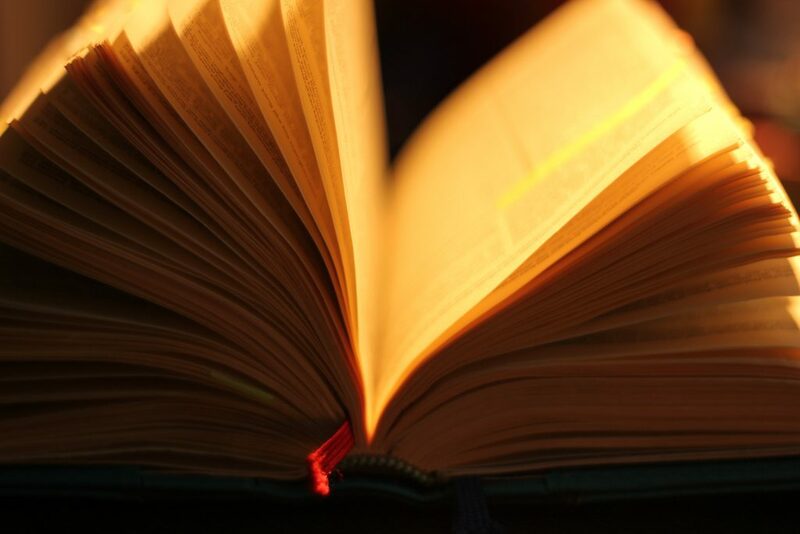 Most brief novels feature just one protagonist. The result is a precise, immersive dive into another’s consciousness—a wonderful thing, sure, but what else can a novel do? Long novels give us a multiplicity of experiences that layer on top of one another: instead of one character’s perspective, we can get eight. We can see the same story from different angles, or get the weaving together of multiple stories that add up to something epic. And there’s the experience, too, of reading a novel over a sustained period of time, the way the book overlaps with a whole epoch in one’s life. My memory of reading Middlemarch for the first time carries with it the fog of a Berkeley morning and the image of a skylight in the apartment where I was staying. I was in college and spending the summer out in California with my father, with whom I had a strained relationship at the time. All of this is wrapped up, for me, in George Eliot’s masterpiece. A long novel can sustain such weight. But weight comes into it in other ways, too. A long book is literal space on a shelf. It takes up your time and attention; it weighs down your purse or your laptop bag. It refuses to be held open with only one hand. There is something bodily present about a book, and I don’t think it’s too far a stretch to say that what is valued here is mirrored in what is valued in the female body itself: to be slim is both virtuous and good. Small books are often described as “tight” or “controlled,” vocabulary that could be taken from the pages of a fitness magazine. In her NPR review of Jenny Offill’s 192-page book Department of Speculation (a book I greatly admire), Meg Wolitzer describes the challenge the author set for herself: “[W]rite only what needs to be written, and nothing more.” In other words, don’t take up too much space. I don’t mean to disparage women who write small books, or men who write big ones. The problem, as I see it, is that our culture doesn’t seem to want women to occupy too much space on their own. A large plot of cultural real estate has to be shared with men. It’s worth mentioning that both women and men seem to believe this. What is it that we’re so afraid of? The strident feminist in me wants to say that it’s the power of women, that six hundred pages devoted to female characters—their thoughts and experiences, their anger and their sadness and even their bursting joy—is seemingly too potent a brew for the general reading public. But the cynic in me thinks that it’s more likely this: a whole lot of readers just don’t believe women are interesting enough to sustain their attention for long. Not when women are the ones talking, not when what they’re talking about is themselves. “When you asked me to speak about women and fiction,” Virginia Woolf said at the start of the lectures that became A Room of One’s Own, “I sat down on the banks of a river and began to wonder what the words meant.” Then she proceeded to tell a long anecdote about walking the grounds of Oxford as a woman in “fine October weather,” omitting nothing, not even the luncheon menu. I imagine that when they invited her to speak, the event’s organizers didn’t expect her to go on quite so long. But as it turned out, Woolf had a lot to say on the subject, and she took up every bit of space necessary to say it. Molly Patterson’s work has appeared in several magazines, including the Atlantic and the Iowa Review. 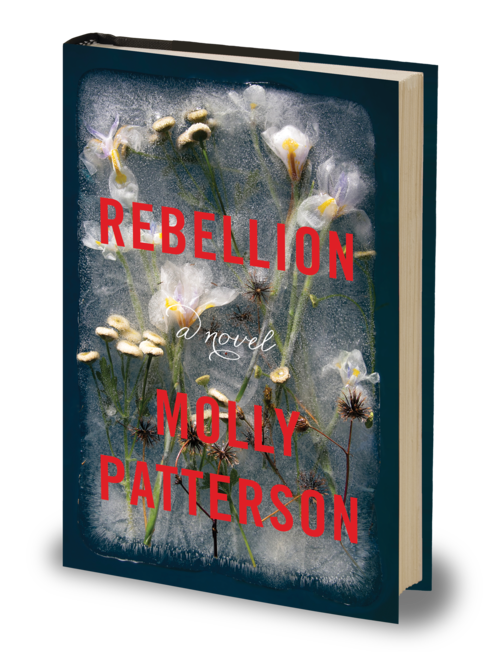 Rebellion is her first novel.